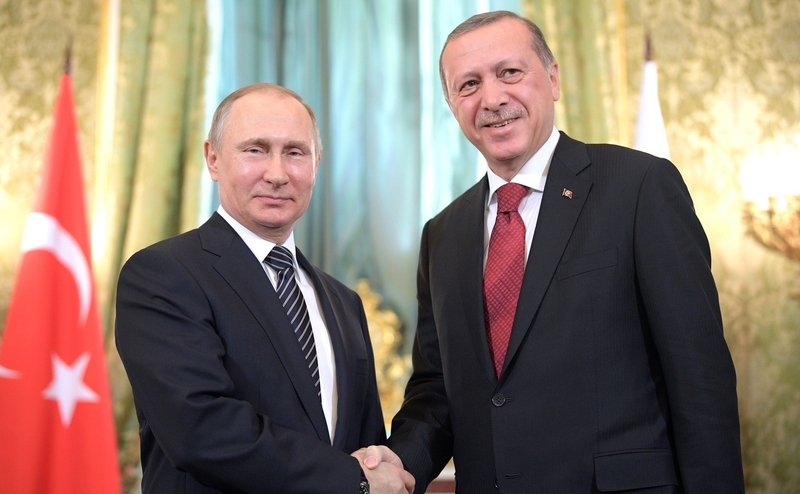 Turkey: Putin's Ally in NATO? With the S-400 deal, Turkey is simply telling its theoretical Western allies that it views "them," and "not Russia," as a security threat. Given that Russia is widely considered a security threat to NATO, Turkey's odd-one-out position inevitably calls for questioning its official NATO identity. Turkey has NATO's second biggest army, and its military love affair with Russia may be in its infancy now, but it undermines NATO's military deterrence against Russia. On September 17, 1950, more than 68 years ago, the first Turkish brigade left the port of Mersin on the Mediterranean coast, arriving, 26 days later, at Busan in Korea. Turkey was the first country, after the United States, to answer the United Nations' call for military aid to South Korea after the North attacked that year. Turkey sent four brigades (a total of 21,212 soldiers) to a country that is 7,785 km away. By the end of the Korean War, Turkey had lost 741 soldiers killed in action. The U.N. Memorial Cemetery in Busan embraces 462 Turkish soldiers. All that Turkish effort was aimed at membership in NATO, a seat that Turkey eventually won in February 18, 1952. During the Cold War, Turkey remained a staunch U.S. and NATO ally, defending the alliance's southeastern flank. Nevertheless, events have changed dramatically since the Islamist government of Prime Minister (now President) Recep Tayyip Erdoğan first came to power in November 2002. The "Turkish retreat" did not happen overnight. In April 2009, military teams from Turkey and its neighbor, President Bashar al-Assad's Syria, crossed the border and visited outposts during joint military drills. That was the first time a NATO army had exercised with Syria's military. In September 2010, Turkish and Chinese air force jets conducted joint exercises in Turkish airspace. That, too, was the first time a NATO air force had military exercises with China's. In 2011, a Transatlantic Trends survey revealed that Turkey was the NATO member with the lowest support for the alliance: just 37% (down from 53% in 2004). In 2012, Turkey joined the Shanghai Cooperation Organization (SCO, whose members are Russia, China, Kazakhstan, Kyrgyzstan, Tajikistan and Uzbekistan) as a dialogue partner. In 2017, a senior Chinese diplomat said that Beijing was ready to discuss Turkey's membership in the SCO. In September 2013, Turkey announced that it had selected a Chinese company (CPMIEC) for the construction of its first long-range air and anti-missile defense system under the then $3.5 billion T-LORAMIDS program. That contract was later scrapped, but Erdoğan then turned to Russian President Vladimir Putin for a replacement: the S-400 long-range air and anti-missile defense system. Despite increasing U.S., Western and NATO pressure, Erdoğan since that time has refused to give up the Russian air defense architecture and instead has boldly defended "Turkey's sovereign decision." Most recently, on March 7, Erdoğan said Turkey would never turn back from the S-400 missile deal. He even added that Ankara may subsequently look into buying the more advanced S-500 systems now under construction in Russia. "If Turkey takes the S-400s there will be grave consequences," acting chief Pentagon spokesperson Charles Summers told reporters Friday [March 8], saying it would undermine America's military relationship with Ankara. Summers said those consequences would include the US not allowing Turkey to acquire the F-35 jet and the Patriot missile defense system. Turkey, a member of the U.S.-led, multinational consortium that builds the new generation fighter, the F-35 Lightening II, had committed to buy more than 100 of the aircraft. Turkey's choice in favor of Russia (and against NATO) will surely have repercussions on several wavelengths. The U.S. may or may not fully retaliate by expelling Turkey from the Joint Strike Fighter group that builds the F-35. That will be a decision carrying with it economic considerations in addition to military and political ones. Turkey, if expelled, may turn further to Russia for a next-generation fighter solution, which Putin would only be too happy to offer -- and create further cracks within the NATO bloc, a move Erdoğan probably believes the U.S. administration (and NATO) cannot afford to risk. Erdoğan's gambit, however, has a more important message to NATO than just procuring military gear: Turkey's geo-strategic identity. The S-400 is an advanced air defense architecture, especially if it is utilized against Western (NATO) aerial assets and firepower. It is an elementary military software fact that Turkey cannot use this system against Russian aggression or Russian-made weapons. With the S-400 deal, Turkey is simply telling its theoretical Western allies that it views "them," and "not Russia," as a security threat. Given that Russia is widely considered a security threat to NATO, Turkey's odd-one-out position inevitably calls for questioning its official NATO identity. Turkey has NATO's second biggest army, and its military love affair with Russia may be in its infancy now, but it undermines NATO's military deterrence against Russia. Russia, however, would doubtless like nothing better than to see the break-up of a military alliance which ensures that an "armed attack against one" NATO member "shall be considered an attack against them all". Burak Bekdil, one of Turkey's leading journalists, was recently fired from the country's most noted newspaper after 29 years, for writing in Gatestone what is taking place in Turkey. He is a Fellow at the Middle East Forum. 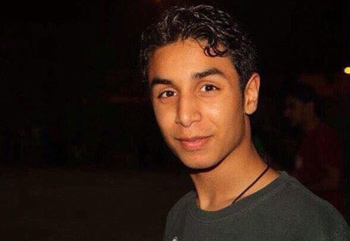 Ali Mohammed al-Nimr, a prisoner in Saudi Arabia who was sentenced to death as a minor, faces "death by crucifixion" after a final appeal has been dismissed. He was arrested in 2012 when he was just 17, during a crackdown on anti-government protests in the Shiite province of Qatif. According to the International Business Times, Al-Nimr was accused by the authorities of participation in illegal protests and of firearms offences, despite there being no evidence to justify the latter charge.